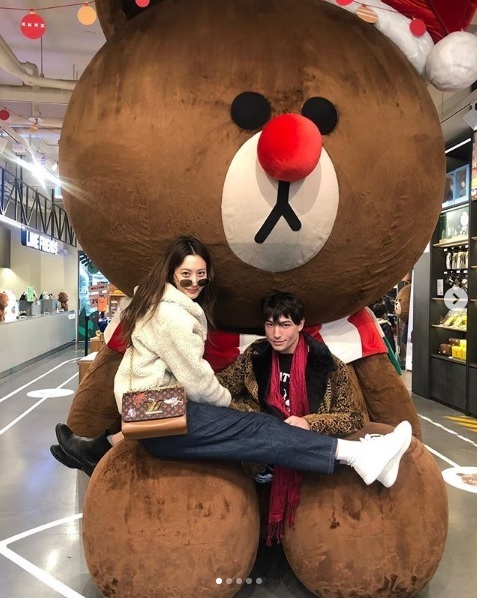 American actor Ezra Miller toured Seoul with Korean actress Claudia Kim on Monday. 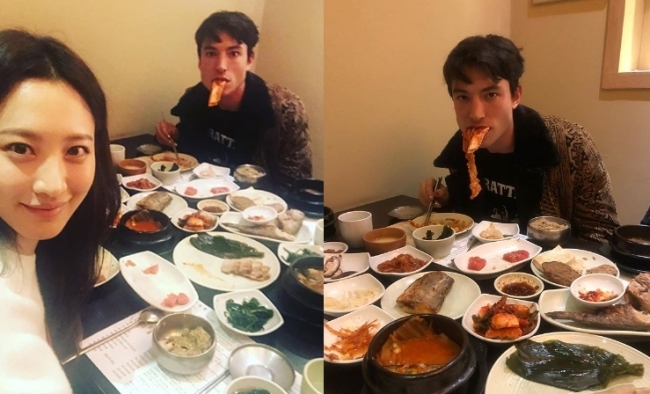 Kim posted on her Instagram account photos of the two eating Korean food together. In the photos, Miller had a long piece of kimchi hanging out of his mouth. 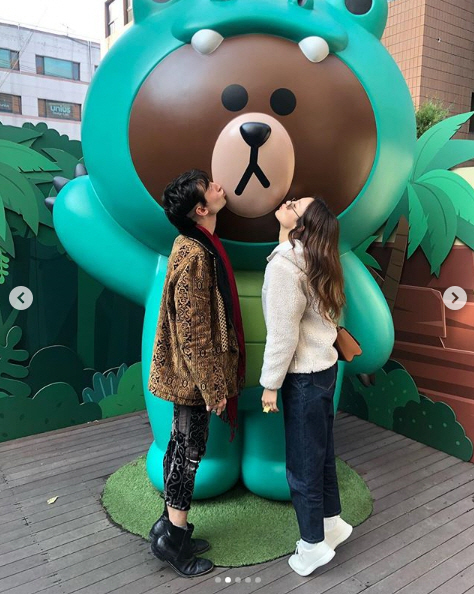 In a separate post, Kim also uploaded photos taken at a Line Friends Store, where Kim and Miller posed playfully with life-sized dolls. Miller reportedly came to Seoul on a personal trip.